From solo and team shots to composites and memory mates, we have volume photographers covered with set ups that will make your workflow run flawlessly. Shooting tethered can make your life as a school photographer much easier. Tethering increases your efficiency by moving images instantly into your workflow software. By seeing the full resolution image on a large screen, you'll be sure you've got a great shot. With wireless tethering you can shoot "tethered" to a computer tablet or phone up to 150 feet away, without the need for cables in between. See or share images on a larger display such as an iPad or Android tablet. View and compare images as you shoot. Check focus or move files and start post-processing almost immediately, all while keeping your set up to a minimum. Transferring images to a computer as you take them can speed up post process workflows by immediately initiating steps in the editing and file management stage, including the creation of an onsite back up. The quicker your photos are uploaded, the faster your customers can proof and purchase. Simple, efficient, and a better way to do business. The High Volume Wireless Tethering Kit offers wireless tethering and unlimited mounting options for mounting your iPad or tablet just about anywhere imaginable including a tripod leg, lightstand, and more. 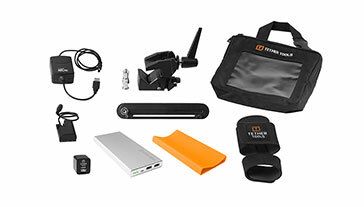 When shooting high volume on location, this kit won’t slow you down, setting up quickly and easily in a matter of minutes.